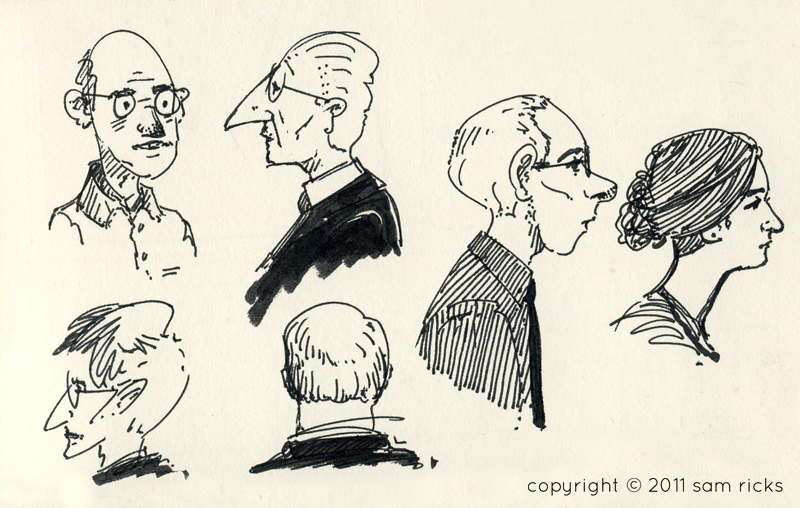 A few sketches of people I saw at a recent concert. Yeah, I draw people during concerts. It's probably not proper etiquette, but at least I don't leave my cell phone on. I don't think it's that big of deal if you draw people, as long as they don't know about it! dude, the concert you went to must have been rockin. paul.